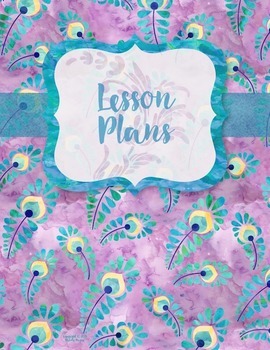 The most beautiful piano teacher binder yet! 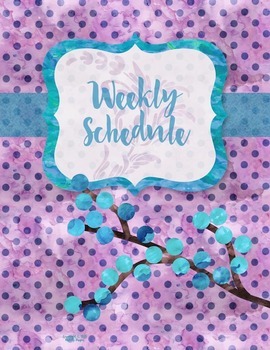 I absolutely LOVE being organized, so I created this elegant set of binder inserts: 83 downloadable and reproducible 8.5x11 PDF pages of binder covers and divider pages, PLUS 3 blank templates that you can EDIT to suit your needs! This elegant collection also includes inserts for the spine of your binders, and they're editable too! 4 sizes of binder spine inserts are included: 1 inch, 1.5 inch, 2 inch, 3 inch. 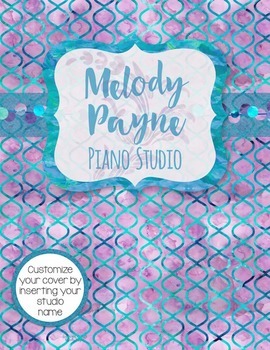 If you want to be the most organized piano teacher on the block, this is the tool for you. 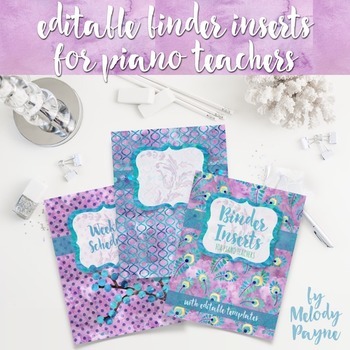 The pages are labeled with topics every piano teacher deals with on a daily basis: Recitals, Studio Wish List, Favorite Apps, Group Classes, Lesson Plans, Music to Purchase, and many, many others, as well as pages labeled with the months of the year. There are also EDITABLE PAGES, and you can customize these pages within the PowerPoint document to suit your studio needs. Check out the preview file for a complete list of pages. View all of my Purple Peacock products here.